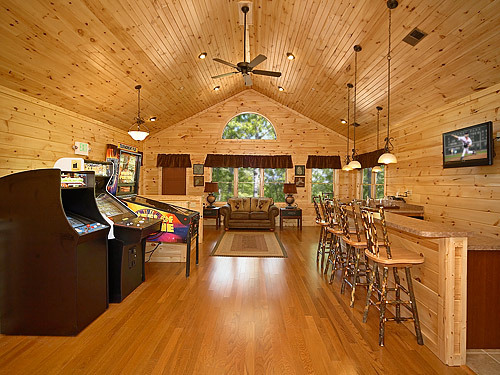 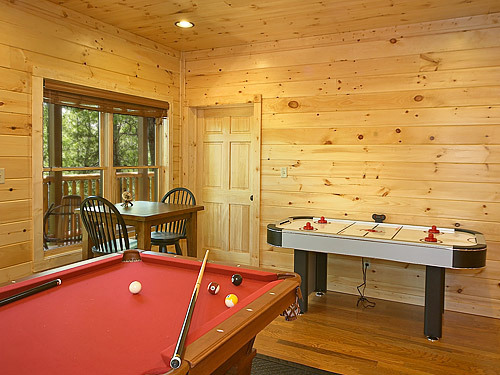 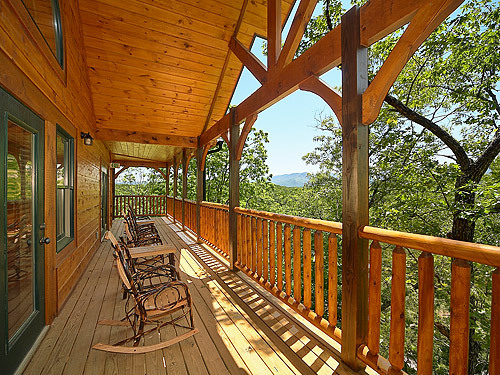 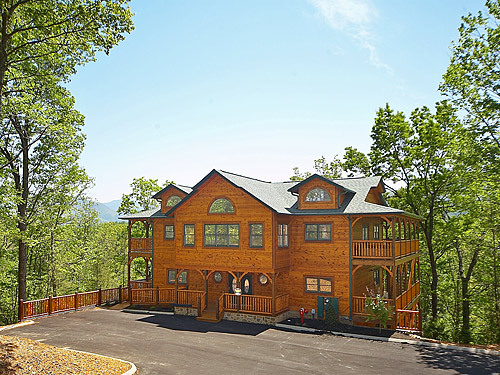 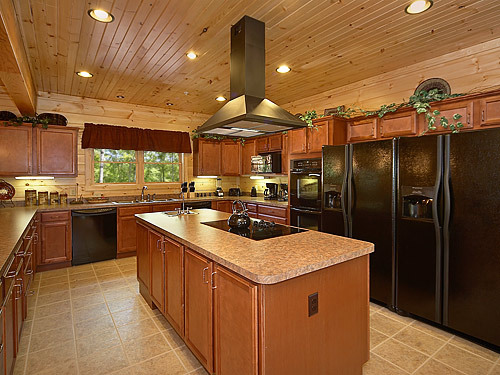 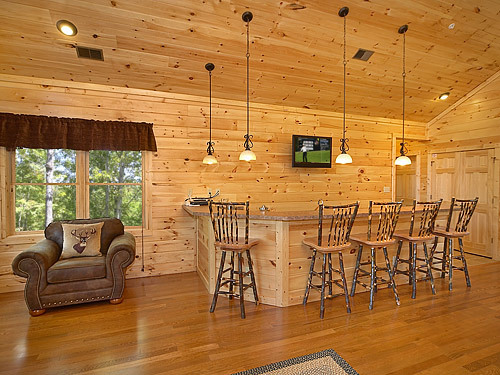 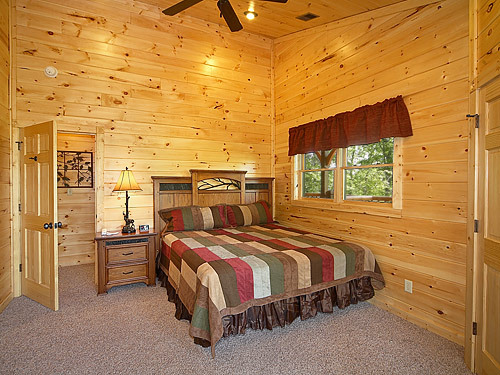 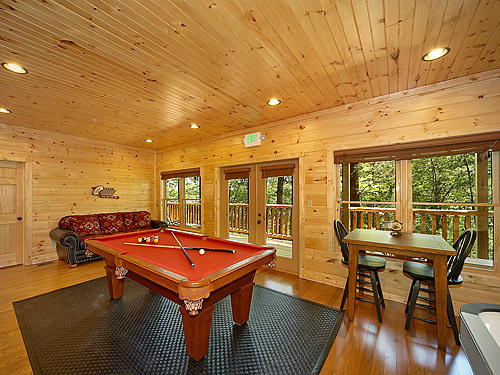 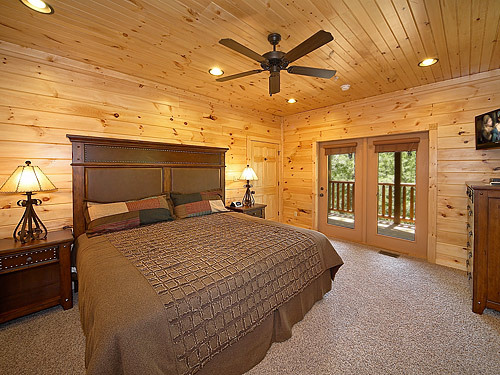 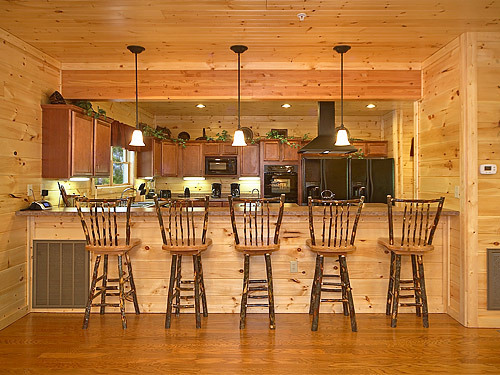 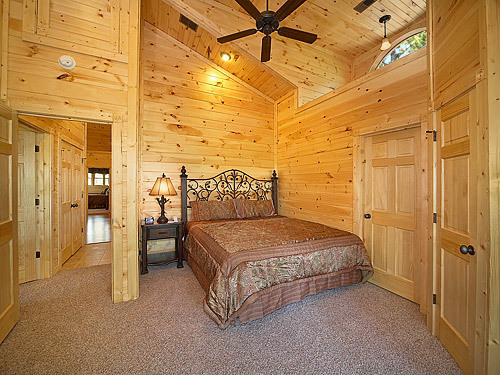 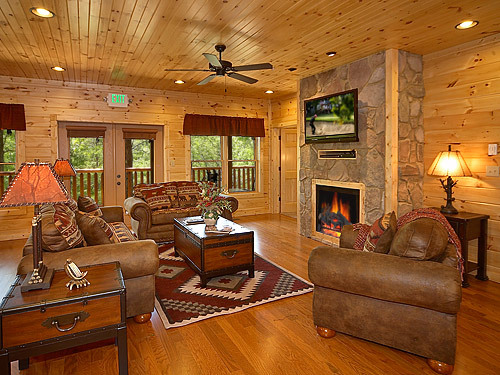 If you're wanting a luxury Gatlinburg cabin rental, Buckingham Palace is the one for you. 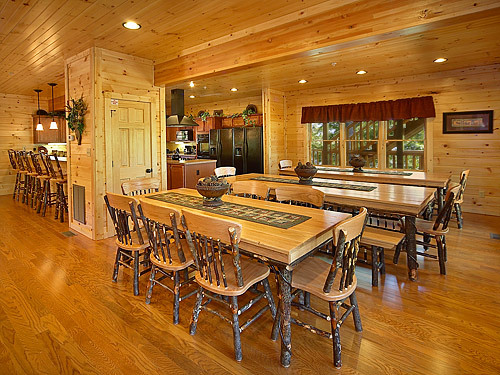 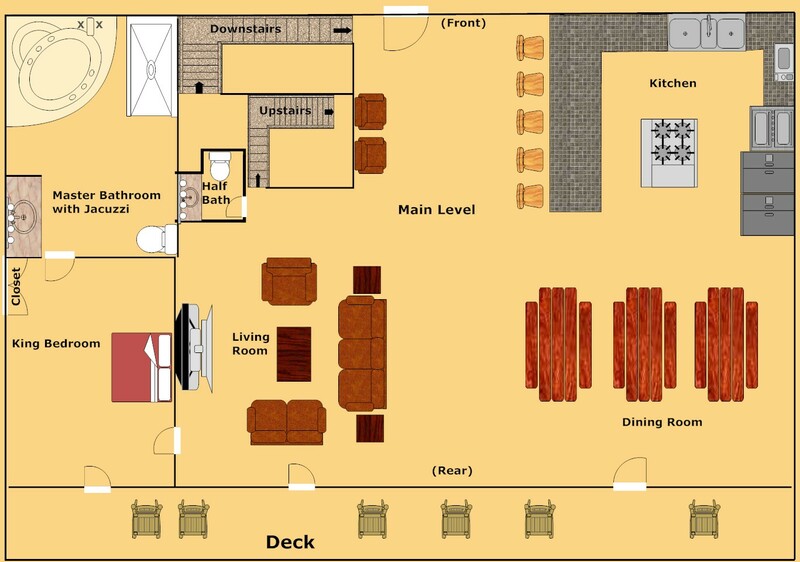 This beautiful 9 bedroom cabin is the perfect destination for a reunion or gathering with a dining room that seats 19 people. 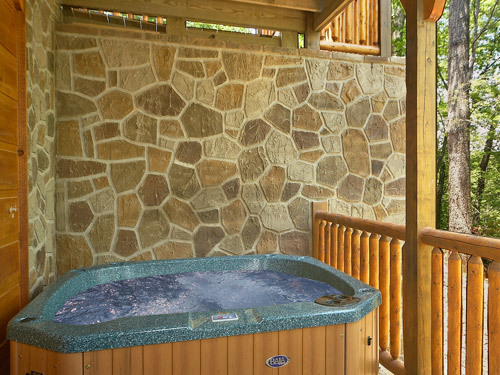 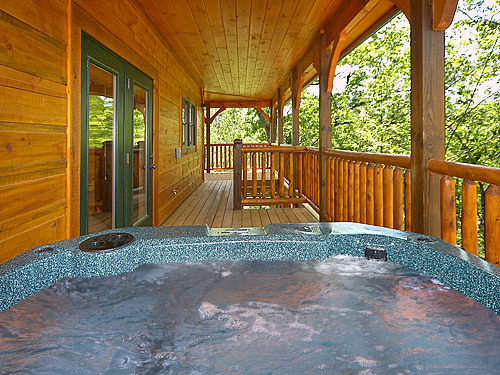 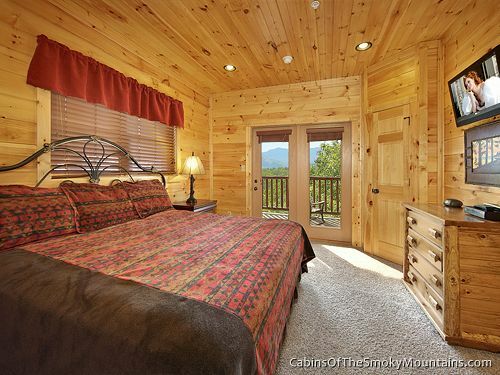 Only minutes from downtown Gatlinburg and Pigeon Forge, this cabin is situated in the beautiful Gatlinburg Falls Resort at the Glades where guests can relax and enjoy the spectacular views of Mounte Leconte in either of the 2 hot tubs or 12 rocking chairs that this cabin has to offer. 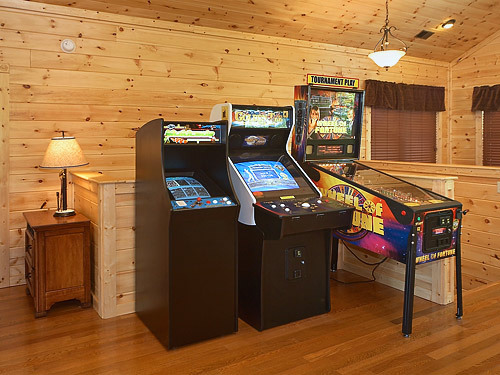 The pool table, air hockey table, Golden Tee, Wheel of Fortune Pinball, and Ms. Pac Man/Galaga arcade game are sure to keep guests entertained. 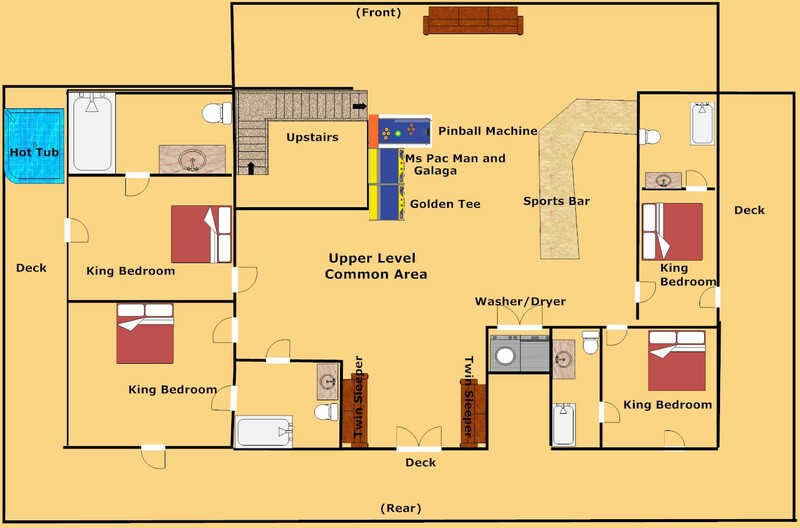 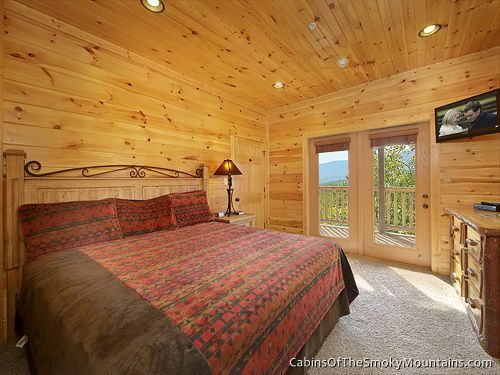 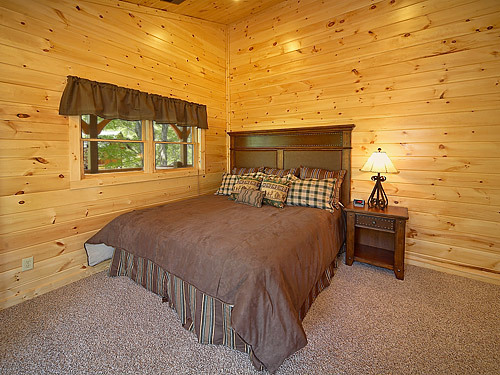 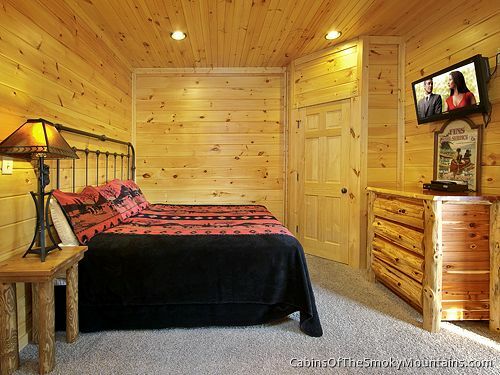 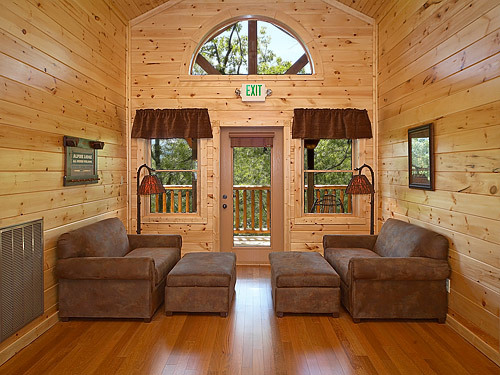 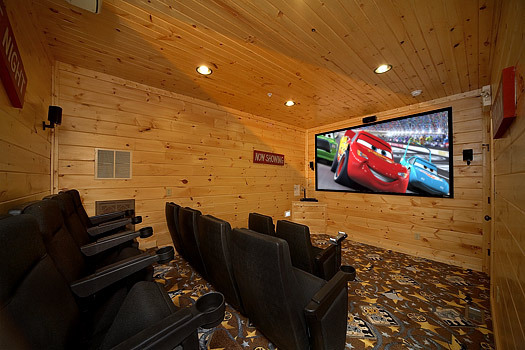 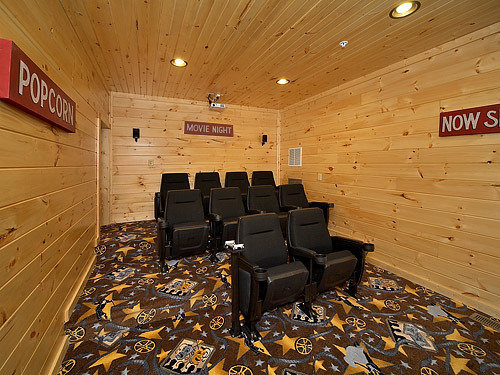 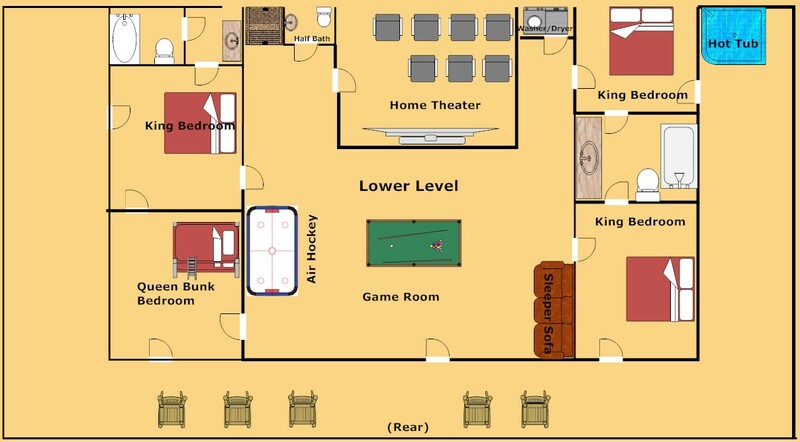 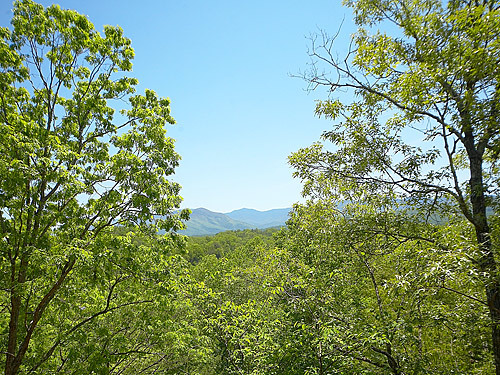 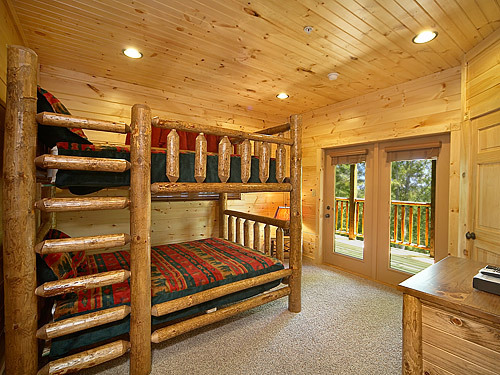 Come admire the smokies in the cabin that is fit for kings and queens!